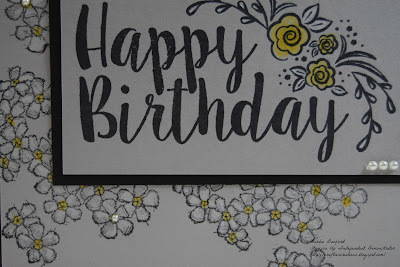 Today's post will show you haw to use the white water color pencil. Not something we use very often, but makes a very stunning affect. 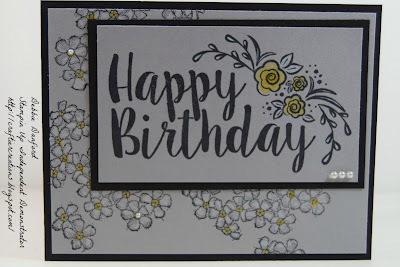 On Smokey Slate I stamped the flower from the Birthday Blossoms & the Happy Birthday from Big on birthdays. I then colored the flowers with the Whisper White colored pencil & the center with the Daffodil Delight Pencil. 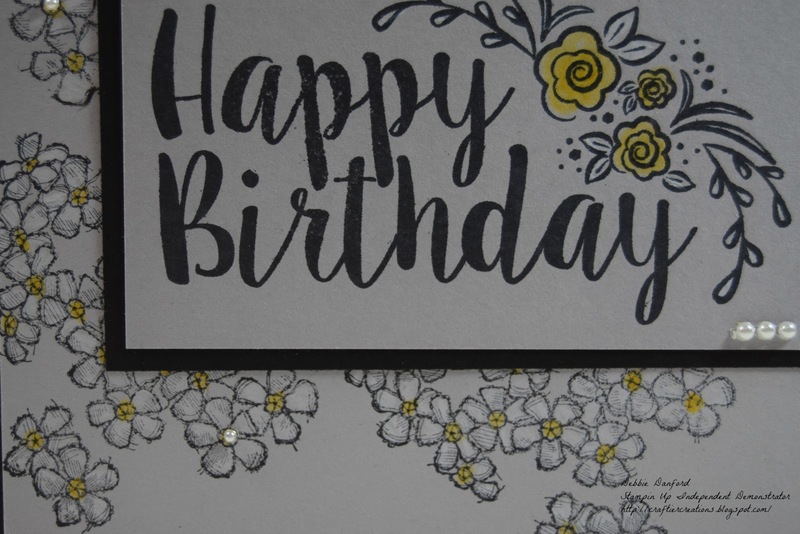 On the Happy Birthday I colored the flower in Daffodil Delight & the leaves in Whisper White. 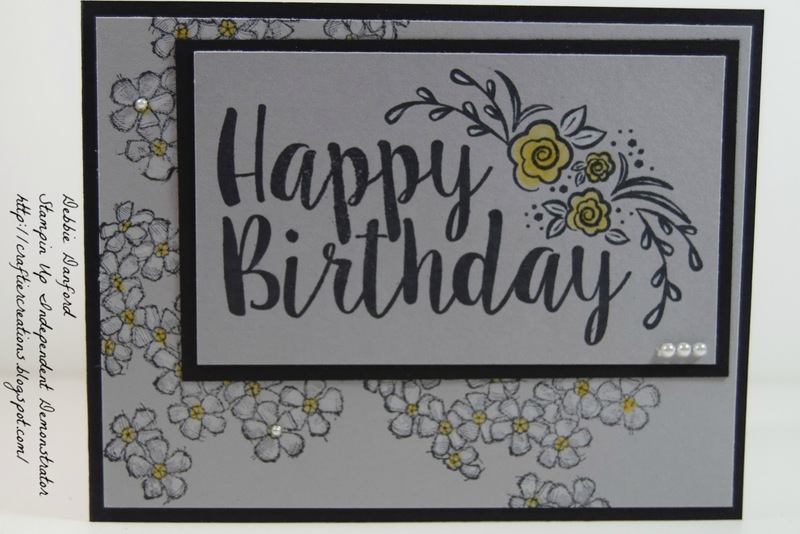 Added a few pearls on the bottem & in the center of the flowers.